It’s our one year anniversary show! * HOORAH! And it’s Christmas! ** DOUBLE HOORAH! We’ll be bringing you the usual mix of comedy, thinky stuff and music, all wrapped up like a big sparkly present. 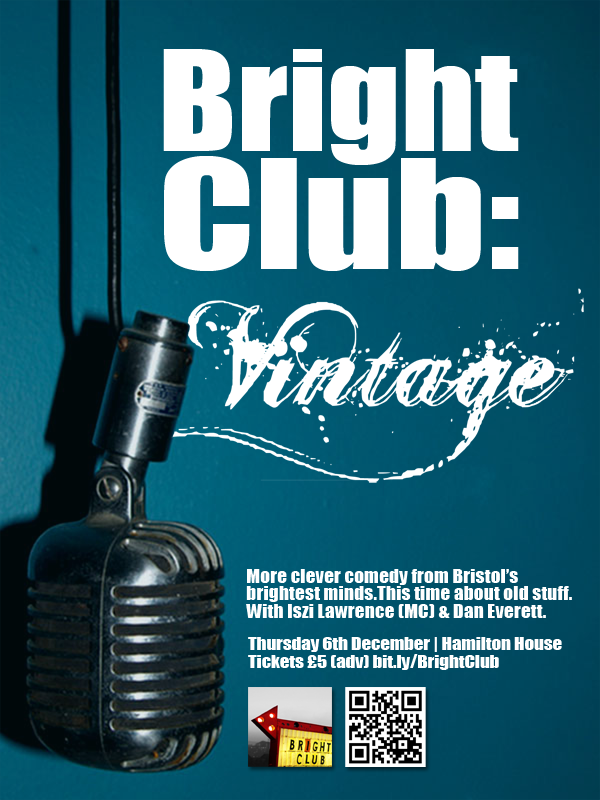 The theme is “Vintage”, which means we’re inviting people who study old stuff to get up on stage and do the funnies. With music from the wonderful Dan Everett. He’s currently writing a “Vintage” song specially for the show. *There has been talk of birthday cake. **There has also been talk of mulled wine.